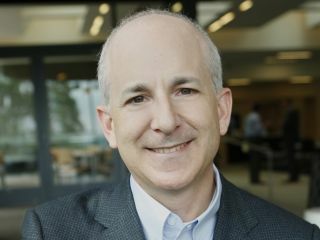 It's going to be a long time before we get any confirmed details on Windows 8, but with Windows 7 giving Microsoft its best-ever holiday season we asked Windows President Steven Sinofsky how he can top that success. "That is the essence of product development," he told TechRadar, using an analogy to film that he's drawn before. "All product development is like that in all industries. You make a movie and it's the right movie for the right time and then you have to write a sequel. And the sequel can be The Godfather Part 2 - or it can be Ernest Goes To Camp. There's no answer to that; that's what we do and that's the work we're going to do." If it's too early to find out about specific Windows 8 features, we asked Sinofsky to tell us about the direction for Windows 8; given that Windows 7 has been a triumph of execution, is there a master plan telling everyone what to do that new feature ideas will have to fit into? Although we've heard rumours of just such a 6-point plan, Sinofsky was convincingly vehement when he denied it. "One, that wouldn't be how I would work; I have a whole book that explains that! [Sinofsky's has described the secret of his One Strategy book on delivering large projects like Windows 7 as "the biggest problem is figuring out what to do and getting it done"]. "In a way nothing could be less [how I'd work] - that's like 180 degrees [wrong]. The very last thing great product development needs is one person saying how it should be. If you think about the complexity of our industry, there isn't one person who could do all of this. "How could you understand touch technology, networking technology, graphical user interface, application development? There's just so much. I mean, the hubris required to say 'these are the six things we're going to go do'?" So how do you take the cool ideas the developers have and turn them into a coherent new OS? "We have a process that we go through where we work to make sure the people who are experts in certain areas, that their ideas bubble up - and then part of the process is to understand how does it all hang together. "Really it's not 'can we do x, y and z? ', but can we have them all come together in a way that x, y and z is really a big thing. One plus one is three - or at least 2.25." And what are the things that Windows 8 can do that are truly new, that really move us on? Not only does Sinofsky not want to talk specifics yet, he's very keen to emphasise that Windows has to balance innovation with solving existing problems. "Enthusiasts or people who know lots often just come up with their list of things that they would fix [in the next version]. But you can't really sell a product based on 'we fixed all the things that a small set of people thought were broken'. "On the other hand it's really hard to sell a product where 'everything is different but it's all better; trust me!' That's a tricky sell, too. "So you always have to have this portfolio of 'here are the things we fixed, that we understood' and 'here are the things that are new'. If you think about it like a car, it's cool to buy a car that has built-in navigation but you don't want it to also have jet engines and steering throttles instead of a steering wheel." Can he give us his view on lightweight mobile devices and MIDs in general compared to full-power Windows on traditional x86 PCs? "Nothing I would say right now. Sometimes what's in between is just what's in between - it's neither fish nor fowl."